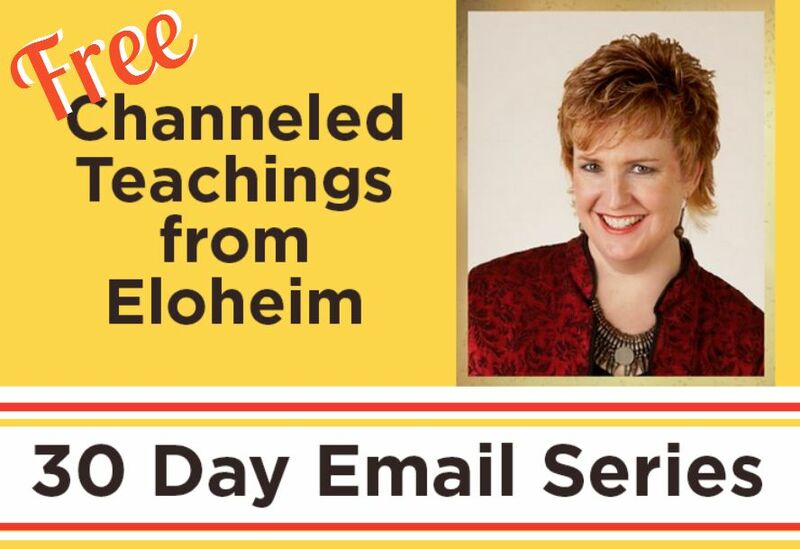 Join us for a live channeling session! 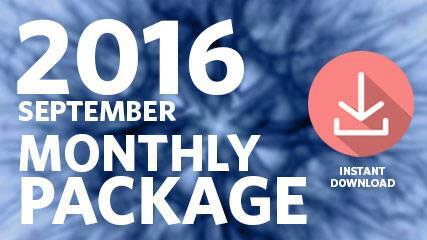 This package includes audio and video from the five sessions of September 2016. This was an important plop meeting that had Eloheim laying down a specific energetic foundation and explaining in easy to understand language how we have been living in Levels 1-6 and how, step by step, we can live in the Now. Before they delved into their brand new Aha System, Eloheim showed us a new graphic that illustrates how we have been living in the past. They call this The Levels 1-6 Acquiring Process. In this process, we have only been using our Blue system (our nervous system), basing our desires on a past version of self with a focus on lack. 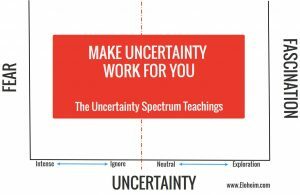 The Acquiring System graphic shows us the path we have been taking: Desire>>Field of Static>>Outcome. 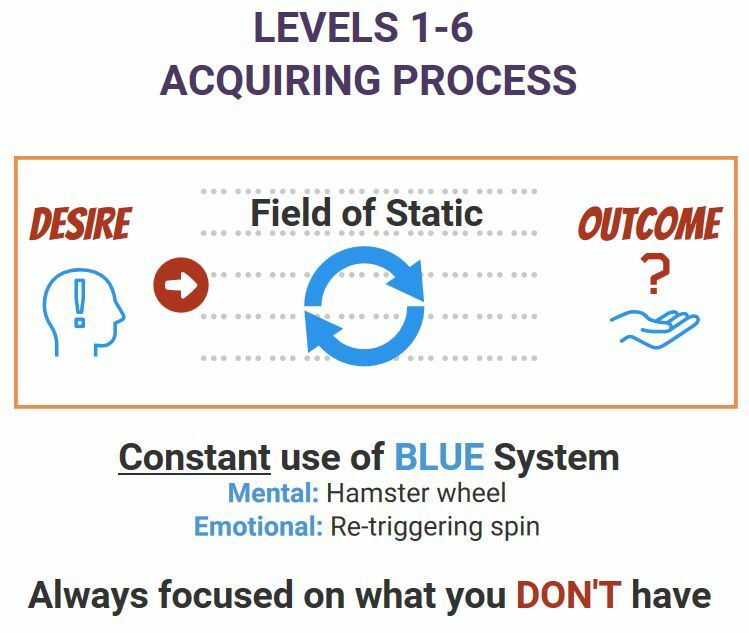 We constantly use our Blue system to focus on what we don’t have, and then spend time on the mental Hamster Wheel and the emotional Retriggering Spin. It is the Survival Instinct’s playground. You are never in the Now with this system, says Eloheim. Instead, Eloheim asks, what is the potential that is now possible at this time? The key to being in the Now is to drop down into the Gap while in the Current Version of You. The Current Version of You requires a balanced Body-Personality-Awareness. As you drop into the Gap, into the Now, the balanced Current Version of You creates a specific and unique frequency that pings the circle of possibilities, aka the Field of Infinite Possibilities (FIP). That frequency is matched with an aha coming out of the FIP. The caveat is to NOT take that aha and put it back into the old system. Absorb the aha. Let your ahas sink in. It generates a new version of you. Let it ping again. And again. It will build and build on itself. Give your ahas a chance to change you. When it spits out utter clarity, nothing else will feel right, all else drops away, and choiceless choice becomes real. It becomes action that you’re ready to take. This is dominoes standing up. Recognition of your evolution becomes your new version of recognizing change, and this is how you will escape clock time. You drop down into the Now as the Current Version of You, and the FIP responds to your frequency. Absorb and let it ping again. The Aha System shows you something new, and your brain doesn’t grind, looking for answers in it. 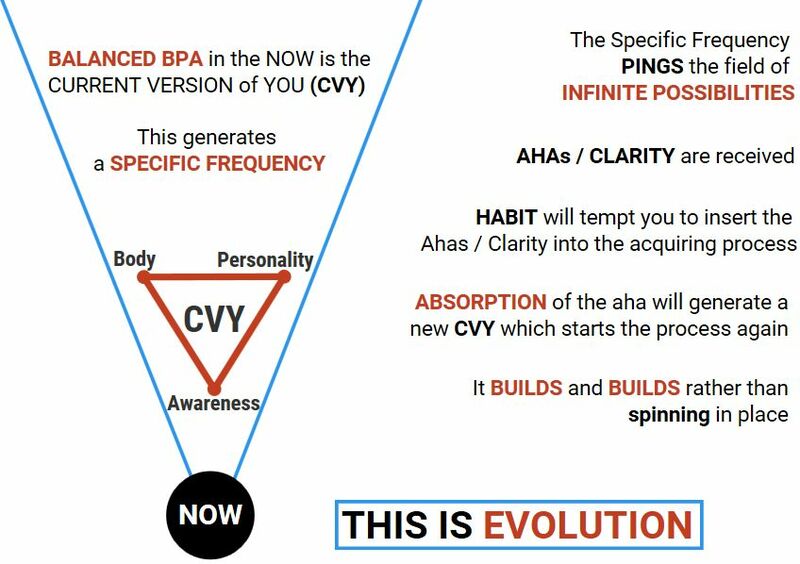 Eloheim put up a second, updated Gap graphic (the Gap as a V-shape) describing the balanced BPA as the Current Version of You and talked about how that works. If you’re not balanced, Eloheim said, the Personality is probably too loud. All of E’s tools have been to shut the Personality up and to loosen its dominance. The only work with this is keeping your BPA balanced and to absorb what you receive. Along the way, the group joined in the discussion with Eloheim, asking questions and sharing thoughts. This is evolution, Eloheim states, this is a doorway to Level 9. You’re dipping your toe into Level 9. There were a lot of ahas (yes, I said Aha!) in this plop session. It really helped the group to better understand how to balance the BPA, how to be in the Now, and the Gap teachings. OUTSTANDING follow up to the September 7th session. Listen to that one first. In this group call, Eloheim reviewed the energy systems they have introduced recently due to the discovery that the Homo sapiens’ Blue systems have been extremely overworked, and it is unsustainable to continue to handle all the stimulation in this way. These energetic systems are unique and individual to each person and Eloheim encouraged us to tweak them until they fit our stimulus, a bit like art class. Blue: Nervous system. This includes the spine, brain, and nerves. All your Blues are overworked and overused for too long and in need of a new way to handle stimulation. Red: Emanational system. This is where you offer your truth, your wisdom, your knowledge, your emanation to the world. In the past, we called this your energetic billboard. Orange Mist: Perceptive System. This is the allowing of the awareness of your surroundings. The mist fills the air and each droplet contains information about the world and returns it to the overall system. Sexuality: Eloheim described these as black lines coming up from below the feet, like a reverse waterfall. Hamster Ball: Described as a clear ball that surrounds the person. When stimulus comes toward you, it strikes the outside shell and moves along the shell to be observed and interacted with. They have also described this as similar to rain hitting a windshield and sliding along the glass. Aha: This yellow hued system process the information before it gets to the Blue. They described it as resembling a cage that shoots out of the ground around your feet and narrows as it comes to the heart chakra. It whooshes up the shoot and into your knowing. It aids the Blue and pings the Field of Infinite Possibilities. After that review, there was some great feedback and discussion with the group about what they are and how to use the systems. Eloheim summed up, with Richard’s help, by saying fixing fears as a culture – fears which, by the way, are not the same – moves too slow for most and could turn out as a disaster and trauma if it changes/moves too fast. They reminded us that step by step can make important, small changes immediately, and that small changes add up. They asked us each to find small changes we can make immediately and to find a movable piece in our own life and in our own community that we can shift. It’s taken a while, Eloheim said, to find a way to talk about Level 7 because the energetic is so unique for each person. Empowered evolution is what we’re on right now. It’s an evolutionary jump, it’s reality, it’s a biological change. Eloheim once again encouraged us to keep talking and sharing on Facebook. This was a great review that clarified and moved the teachings along for everyone. To get everybody on the same page, Eloheim did a review of the energy systems as well as introduced a new one. Tools> Levels> Energy Systems is the path E has been taking in their teachings. And now they are teaching us the energy systems. You live in an overstimulating world and you’re adding more stimulation with “It’s all me” and it’s too much, so we are creating new ways to handle the stimulation, Eloheim said. Using the whiteboard, they described the systems and further explained what they are and how to use them. Blue is for you, nobody else. Every single job outside of that must be given to another energy system to be processed. Red is the emanational system. This is sharing your truth, your presence, your smell, the sound of your voice, anything that exits off your body. Orange Mist is the perception system. This is how you are reflected in physical objects and is proof you don’t end at your skin. The mist goes out and returns with information. Sexuality System. Eloheim sees these as black lines coming up from the feet like a reverse waterfall. This waterfall system can be shared if you’re with a conscious person. Purple System is the new LOVE system. It’s a sphere that encompasses everything between the throat chakra and the second chakra. It’s closest to the Blue and includes your intimates, ie the people, places, and things you love. There has to be a space between your Blue and your Purple to get consistent access to your truth. It won’t change your relationship with others, it’s a gift to yourself. Hamster Ball is the evaluation system, the inquisitive boundary for the general public. 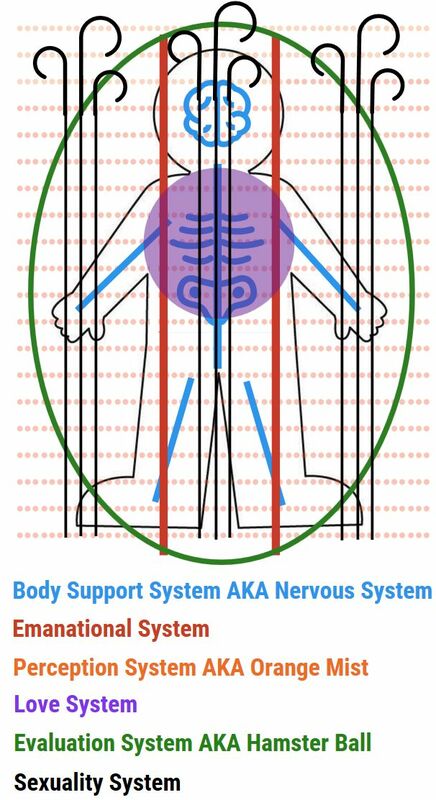 Aha System is the Body-Personality-Awareness (BPA) balanced in the Now. It is the Current Version of You (CVY). CVY cannot be triggered. It drops into the Now and pings the field of infinite possibilities (FIP). This is a non-brain activity. CVY is a specific puzzle piece that pings the FIP for the puzzle piece that matches it. Then let it soak in, let it build, let it continue to ping the FIP until you have such clarity, you have to act. Watch it move happens. Brain only goes to outcome, so leave the brain out of it. Eloheim described the Aha system visual as a hoop skirt that flows up to the heart. Q: Recently I read a book about a young girl’s experience in Cambodia during the Pol Phot regime. I have traveled in Cambodia. Reading the book made me very emotional and that flooded my blue system. What do I do with that emotion? A: Instead of using the Blue for things like this, Eloheim talked about using the Purple system for the people, places and things that you treasure. In Purple you have the opportunity to witness rather than running it through your Blue or using adrenaline and adding that adrenaline to the sharing. 1. Thank you for sharing. 3. How can I help you? Q: Is there a specific system that the energy moves through the systems, and where does it go afterwards? A: How people use these systems is unique. What works for you is what we’re looking for. The idea is to get the processing out of your Blue system. 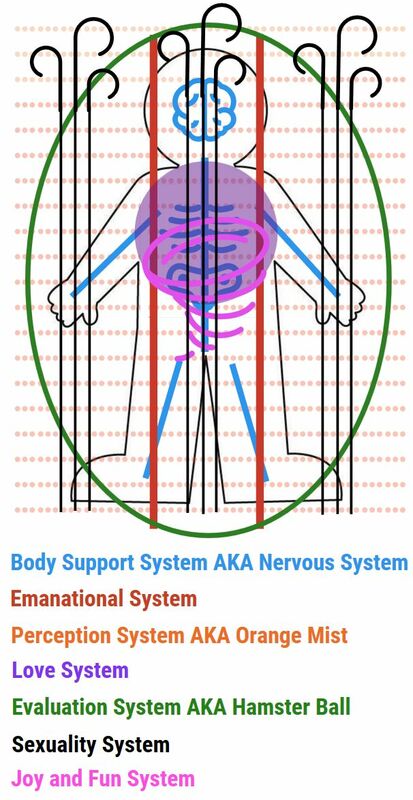 After the questions, Eloheim did a short recap of the systems and then talked about the Body-Personality-Awareness balance, about how each is needed or we would not have them if not needed. All of BPA is needed to do Homo spiritus. When the survival instinct is in its appropriate place, the Personality can be the witness of the Awareness and the Body interacting. Drop into the Current Version of You and be the witness, be fascinated. The group joined in the discussion, asking questions and sharing their thoughts. Q: If P is only witnessing, who will have desires in the BPA? This question led to a great discussion on fascination, witnessing, clarity, and dropping into the Now. Drop into the CVY in the Now. Allow the P to be the witness to the FIP (field of infinite possibilities). You are not using the brain to do this, you are using the bigger version of you, the complete version of you. P- The Witness rather than Missy/Mr. Crazy. B- Using the new energy systems to process stimulus. A- Using the new energy systems helps the A to be louder. The point of this is, Eloheim said, is that Level 7 is “It all me,” and Levels 7/8 are concurrent. You will have access to and influence over the subatomic particles. What we did not know is that we would have to manage your energy systems because we did not notice how overloaded your nervous systems were until we added in “It’s all me.” It’s too much. In order to support this evolution, we had to make sure you were able to handle what you already were. There is a space in you for your truth to live when you can handle all the stimulus and have the ability to add more. We want to help you find your own relationship to these energy systems. This will pay off forever. At a minimum, the Blue, Purple, Hamster Ball, and the Emanational systems are the ones you should have a handle on in your life. Explore that. You have an opportunity and we’re committed to helping you. Four of the Council members spoke at this final meeting before the 2016 Westerbeke retreat. Guardians: Energetic leadership will become more and more necessary in the coming year. It will be a big part of 2017. You don’t have to be perfect, they said, you just need to be consistently trying to be conscious. They explained that we can’t expect to flip a coin and have evolution; it’s three steps forward and two steps back, and they asked us to keep stepping forward. 2017 is an energetic leadership year. It matters. Visionaries: The Visionaries remarked that it was so still, that the group was still and the environment was still. It feels ready and willing in the room. Levels 7&8 are working levels, like going to the gym, they said. You have to keep working them. The temptations in 2017 will be strong to hide in the cave. You are urged to keep stepping out. Energetic leadership is so important. Level 7 stretches you, and you have to choose into it. Eloheim: Using the white board, Eloheim began talking about the Now and the balanced BPA triangle. They compared this balanced triangle to a flying drone-when one side is unbalanced, it bobs. Most of the time, it’s the Personality that is causing the BPA to bob back to the surface, instead of a balanced BPA dropping down into the Now. Why does it bob? You have learned to prefer one Now over another, said Eloheim. These preferred Nows (memories) are adrenaline-based. You have trained yourself to prefer one Now over the other, instead of exploring what is fascinating in the current Now or sinking into being a profound witness. When you don’t bob, your puzzle piece is pinging the Field of Infinite Possibilities. If you bob, you rise up and the puzzle piece changes again. So, you sink into the Now, bob, rise, and change your puzzle piece, over and over. The FIP pieces that used to match your Now keep on zipping by every time you bob. Usually P is too strong, like a helium balloon that causes the drone to bob and rise. Catch yourself when P is too strong, and give yourself a heartbeat or two for the puzzle pieces to find you. Using the presidential debate as an example, Eloheim said it would have been very helpful and healing if the candidates had spent an hour finding common ground. Then they went around the room and had the attendees share what they admire about the person sitting next to them. They then went into great depth about seeking common ground. It’s easier with someone you know, says Eloheim, it’s more challenging with absolute strangers. That doesn’t let you off the hook. Eloheim talked more about using the Hamster ball, keeping folks out of your Blue and Purple systems, and how much our society is addicted to duality. Even if you’re using your Hamster ball, you’re still looking for common ground, they said. It isn’t boundaries, it’s about keeping someone out of your Blue while you figure out what the common ground is. This will heal the world. Blue is for you. Your Hamster ball is on 24/7, it’s default. That’s what we’re looking for. When Personality shuts up, Body has something to say. B is overwhelmed and can’t take it anymore. I need some help, too, says the Body. 2017. Finally Eloheim said when your inner guidelines guide you, you’re going to access your vulnerable self and speak your truth. What we get from you guys is, Can I do it? Can I count on myself to..blank? You’re going to believe in yourself more in 2017. For us, 2017 is not only about all the above, it’s is this sense of…you can believe in yourselves more than you do. And if you can get the P to shut up and get the B out of the Blue, you will believe it, too. You will feel like you can trust yourself. Matriarch: The Matriarch ended the meeting in her usual gentle and loving way. You’re on the brink of it, she said. It’s not far away. It’s not hard. You have to choose. Choosing isn’t hard so remember to remember, she encouraged. All of this is natural and normal and happening all the time even when you don’t know it’s happening. 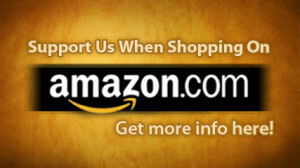 We want you to be more involved, to just notice it. Choose to notice. And remember to remember. That’s all. What’s a Healthy Version of Success? All material on this website, whether free or for sale, is Copyright © 2006-current Eloheim and the Council and Rontor Presents. Unauthorized duplication or distribution is prohibited. All content on this website as well as sessions and other events offered by Veronica Torres are for informational purposes only, and are not intended to replace legal, financial, medical, psychiatric, or other professional assistance. Participation in any activity is at your discretion. Contact licensed professionals as needed. "Elo" Theme for Wordpress by Ryan M.
Site images/graphics by Kerri M.